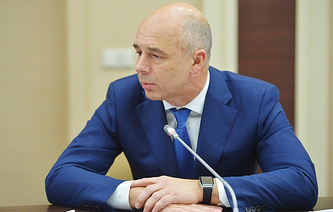 Siluanov said that the Russian economy has adapted itself "to the sanction effects that we have been seeing over the recent years"
MAGADAN, August 12./TASS/. 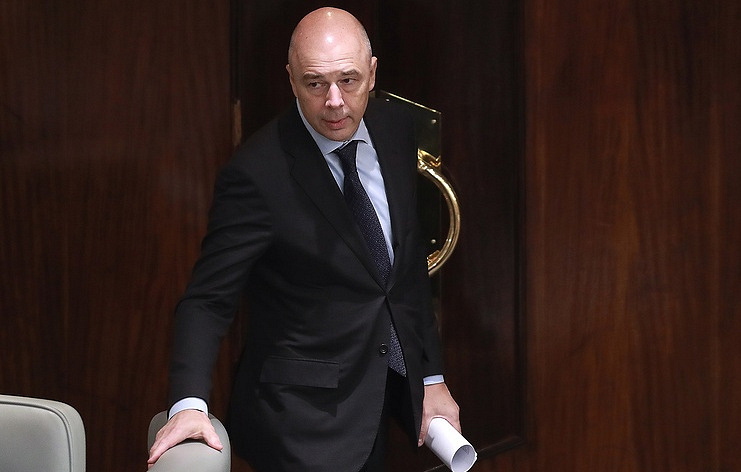 Russian Finance Minister Anton Siluanov believes the possible slapping of new US sanctions on Russia will be "unpleasant, but not fatal" for the Russian economy. Over the recent years, the Russian economy has adapted itself "to the sanction effects that we have been seeing over the recent years," Siluanov said in an interview with the Voskresny Vecher s Vladimirom Solovyovym (Sunday Evening with Vladimir Solovyov) program on the Rossiya-1 television channel. He said Russia has a strong balance of payments enabling the country to increase gold and foreign currency reserves. When asked about Russia’s possible response to a new package of US sanctions against Russia, Siluanov said: "Our response? I have already said that we have reduced our investments to the American economy and American securities to the minimal level and will continue to diminish them. We will stop using the US dollar and will use our national currency, other currencies, including the European currency. So, as a matter of fact, these restrictions will backfire at the Americans." According to the minister, Russia has already curtailed investments from its reserve funds into US assets. "I mean the Central Bank’s currency and gold reserve and the government’s reserves, such as the National Welfare Fund: we have retrieved these funds from US securities," he said. Apart from that, Russia will try to supersede the US dollar by national currencies in international trade. "We are using other currencies more and more, first of all, the rouble, the euro, the Chinese yuan, etc.," he noted. He noted that reports about the United States’ possible anti-Russian sanctions have already told on the ruble exchange rate, which may trigger inflation growth. "Indeed, we see that it may impact inflation," he said in an interview with the Voskresny Vecher (Sunday Evening) program on the Rossiya-1 television channel. "In the long run, inflation may go up to three percent, or even more. But, in any case, it will stay within the corridor set by the government and the Central Bank. That is why we see no risks of inflation hikes. Inflation is under control," he stressed. Foreign currency accounts of Russian citizen with Russian banks will not be impacted by the United States’ further sanctions, Siluanov said. "Even in case sanctions are imposed on any of the Russian banks, our citizens will have no problems with deposits, either currency-or ruble-denominated," he said in an interview with the Voskresny Vecher s Vladimirom Solovyovym (Sunday Evening with Vladimir Solovyov) program on the Rossiya-1 television channel. He pledged the Central Bank would take necessary measures to support Russian banks that might face problems because of the sanctions. "The Central Bank will always support with its liquidity any bank should it happen to find itself in such a difficult situation. The Central Bank has enough reserves, ruble liquidity. So, our citizens will have no problems with their foreign currency or ruble accounts even if any sanctions are imposed," Siluanov stressed. The Washington administration said earlier it was imposing sanctions on Russia as of August 22 over Moscow’s alleged involvement in the poisoning of former Russian intelligence officer Sergei Skripal and his daughter Yulia in British Salisbury, on March 4. According to the US Department of State, the US authorities are going to decide on unveiling the second package of sanctions against Moscow in 90 days’ time depending on whether it fulfills a number of conditions. Russia has repeatedly refuted allegations concerning its involvement in the case. The new package will completely ban exports of goods related to national security, such as electronic devices and dual-purpose components to Russia. Moreover, a stipulated ultimatum suggests should Russia fail to present evidence of not possessing chemical and biological weapons, it would further deteriorate diplomacy, put a tighter grip on exports and imports (excluding food) and potentially restrict flights of Russia’s top carrier Aeroflot to the United States. The first round of sanctions is expected to take effect on August 22, while the second round may be introduced in 90 days if Russia fails to meet the announced requirements, according to the State Department.